Home » Keto Diet » Ketogenic Diet and Alcohol effects on Ketosis is it Keto Friendly? Ok, first thing is first, before we get into the Ketogenic diet and alcohol’s effect on ketosis; that is most western cultures drink far too much. Now I know most people (those on a keto diet included) don’t want to hear that, and I’m not trying to be a party-pooper, but I’m here to tell you the truth as I know it, not to tell you what you want to hear. Anyway, there’s a little room for debate depending on how you read the evidence on whether there’s room in a Ketogenic Diet for alcohol and whether alcohol will throw you out of ketosis, it may or may not, but there are certainly side effects to be aware of, some very dangerous. I’ve read quite a few articles and forums about keto and alcohol and almost all of them dance around it looking for some loophole in the figures to squeeze in some amount of alcohol. Many try to satisfy the vast majority who think giving away alcohol on a keto diet will be a deal breaker. They all try hard I have to say. Let’s be real, if you’re dying to fit alcohol into your ketogenic diet and it’s a must have for you, I doubt the small amount that could possibly fit in will satisfy you. You will undoubtedly get drunk much quicker on a ketogenic diet than if you weren’t. Hangovers will be worse, as you know a keto diet flushes your body of water retention and the chances that you’ll be staying hydrated while drinking is slim, alcohol is notorious for dehydrating you. Even if alcohol itself doesn’t kick you out of ketosis, when tipsy self-control goes out the window, you’re likely to eat whatever is in front of you. If you are determined to include alcohol in your ketogenic diet, your choices aren’t many and mostly limited to hard liquor. While alcohol can indeed raise ketone levels in the blood it lowers fat oxidation considerably, so you won’t see any ketogenic benefit. Something to consider when your body is already in a state of ketosis, and you’re consuming alcohol is that bingeing or heavy alcohol use can cause a condition known as Alcohol Ketoacidosis. This occurs when ketones in the blood get to extreme and dangerous levels. 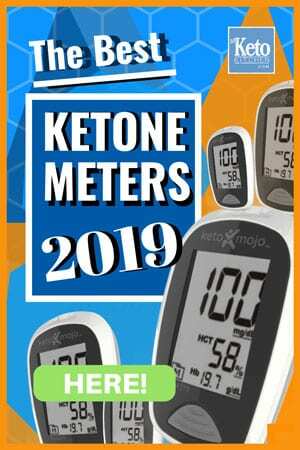 It’s not only the fact that ketones in the blood are elevated but also that the clearance and utilization of ketones in the blood are inhibited. Primarily the inhibition of ketones being excreted occurs due to dehydration from alcohol, preventing the kidneys from doing their job properly. Ketoacidosis occurs mostly in people who are alcoholics, the unaccustomed, the young and the malnourished. But most importantly for the purpose of our readers, people who’s glycogen is depleted (ketogenic dieters who are in ketosis). When becoming keto adapted we deplete our glycogen so that our metabolism switches over to fat oxidization and producing ketone bodies for fuel. Alcohol Ketoacidosis can make you extremely sick and even kill you. 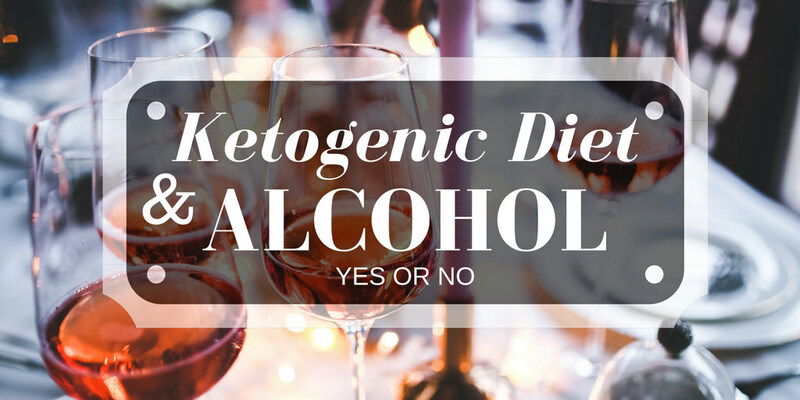 Still Hell Bent on including Alcohol in your Ketogenic Diet? If missing out on a drink is still a deal breaker for you on a ketogenic diet, below is a list of zero or low carb alcoholic beverages out there. I’m certainly not saying these alcoholic beverages should be a part of any LCHF diet. This is for information purposes only. The liquor listed below are only zero carbs when left unmixed and unflavored. Of course mixing with high sugar beverages such as, ginger ale, cola, or orange juice is definitely out. Even low carb beer can quickly accumulate and push you over your daily macro limits. If you choose to drink beer on a ketogenic diet you will be limited to very little. Again I’ve never been one to only enjoy half a can of beer, so I leave it out of my keto diet. With wine, like low carb beer, the carb count is higher and you will be severely limited in the amount you can drink. There we go, that is as open and honest as we can be with the research and evidence available to us. Again always seek a professionals advice “in person” before taking on any type of diet especially when considering things such as Alcohol, Drugs, and Medicine to be included. Our take on it: A Ketogenic Diet and Alcohol don’t mix. Being in ketosis can present dangers when adding alcohol to your keto diet.